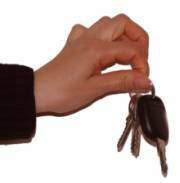 Charity car donations - the practice of giving away cars and other vehicles to charitable organisations has become massively popular in recent years. In the USA in particular many people have come to see donating vehicles to charities as an easy and tax efficient way to support good causes. Non profit organisations have quickly realized the potential of these donations. Many larger charities have set up their own dedicated programmes. Smaller charities are however still able to take advantage by outsourcing every aspect of donating a car to charity to any one of the many companies vying for business in this booming area. Their car can usually be collected from their home (please note this can impact on the fee the charity may make). 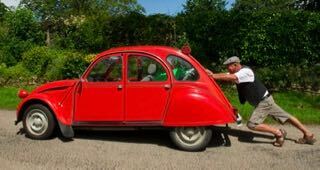 Cars do not have to be in working order or have passed emissions tests. Many charity car donations are scrap cars also known as "clunkers". You can donate to a large number of specific good causes. Your donation (in the USA) is tax efficient and you can claim relief. Of course very few charities actually deal with the cars themselves and this side of things is managed by charity car donation companies. These firms handle all the collection, sale (either for parts, scrap or second-hand), paperwork and then make a donation of their profit to your chosen charity. Be careful when choosing a firm to work about how much this donation might be and what is the company's cut. Some larger charities in big cities have actually started running their own second-hand car lots for donated vehicles but this is still not common. How do I find a charity that will take my car? If you already have a preferred charity ask them if they have a charity car donations programme. Details will usually be on their website if not give them a ring. If they do not have a programme in place it might be possible for them to simply register with a charity car donations company after which you can proceed with your donation. 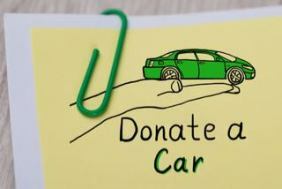 Once a charity has registered with a car donation company there are usually all sorts of advertisements and flyers including website buttons and banners they can use to promote themselves as a recipient of car donation revenues. Other people prefer to pick a car donation company and then simply select from a list of companies already registered with them. Some donation companies are registered charities themselves and the money they make on donated vehicles funds their work directly. A number of faith-based groups operate this way. How much of the value of this donation will go to to my chosen charity? A little bit of research here may be important. These companies are in it to make a profit. You may wish to confirm the percentage the charity receives with the charity itself. 50% is considered normal. As always do a little bit of homework and find a reputable company to work with. If you work in the non-profit sector the same is obviously true before registering your charity with a donation company. Registering your charity is free and may seem like an easy fundraiser but by registering you are in effect endorsing a car donation programme. You owe it to your supporters and would be donors to make sure you only deal with reputable firms where the maximum possible value of any donation ends up with your organisation. Very little actually. This is a very competitive market and most companies try to keep things as simple as possible. Pick ups usually can be arranged within 24 - 72 hours and there is surprisingly little paperwork. Depending on where you live the donation company will advise you about transfer of vehicle registration / licensing requirements. The better ones will also have a clear process to enable you to claim your tax saving (if your donation is eligible). So if you want an easy way to support good causes don't trade in your old banger. Just donate a car to charity.